As you probably have gathered by now, I love teaching American history to kids. I think the thing I love the most about it is that most children think it's boring. It's a challenge as a teacher, and I fully accept it! History is even better taught when you can mix in applicable lessons that can be used today. For instance, the suggestions that Squanto gave to the Pilgrims to help them with farming. These were life saving suggestions because the Pilgrims needed to survive their first winter. Conditions were tough, and so different than they were used to back in England. While I'm on my "I love history, please teach it" soap box, I also think it is important to teach the truth behind events like the first Thanksgiving. What the relationship between settlers and the Native Americans was really like, their struggles, their discoveries, and more. Books like Squanto's Journey is a great mixture of content, but still with a picture book feel. Each year we read this book, it reminds me of how much we have to be thankful for and the journey that those before us have taken. Here's where I mix in a great little science activity. 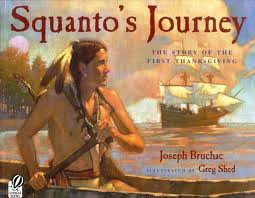 Squanto suggested to the Pilgrims to use the resource of fish from the close by Atlantic Ocean to help their farming yields. He showed them how to catch the fish, ground it up, and use it as fertilizer. 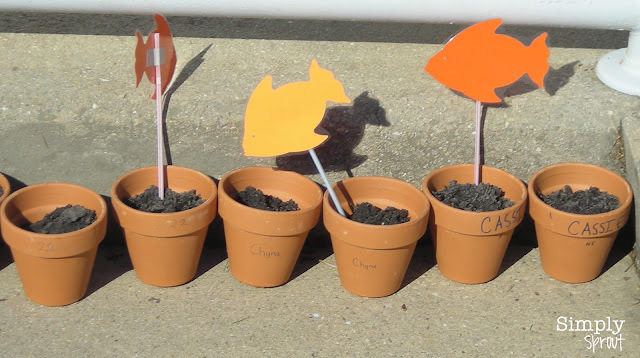 We do the same thing in our class, with the help of a local nursery (or Home Depot or Lowe's) for the fish emulsion. On our free printable you will find the materials you need, and a student reflection sheet. 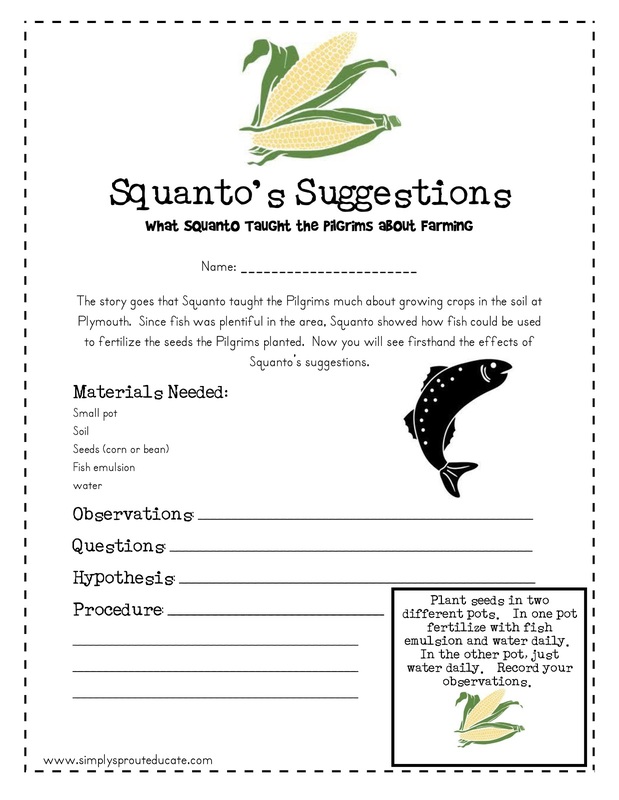 We follow the seed packet directions for planting the corn, and label our emulsion fertilized pots with a fish tag. The other pot (or control) is not labeled. 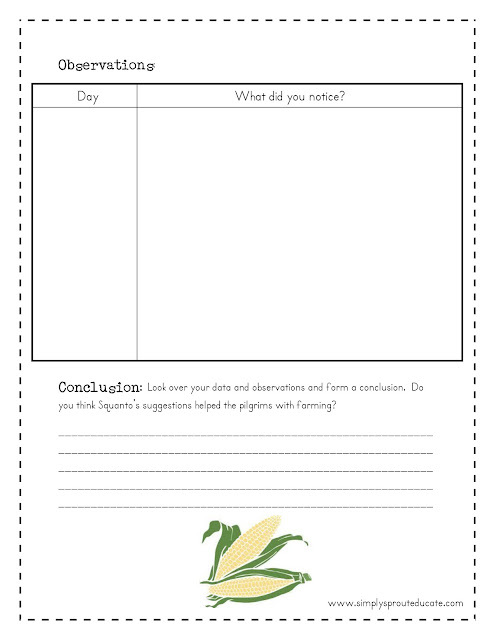 This is a great activity to send home for students to watch over the holidays, or something to do as a family too!